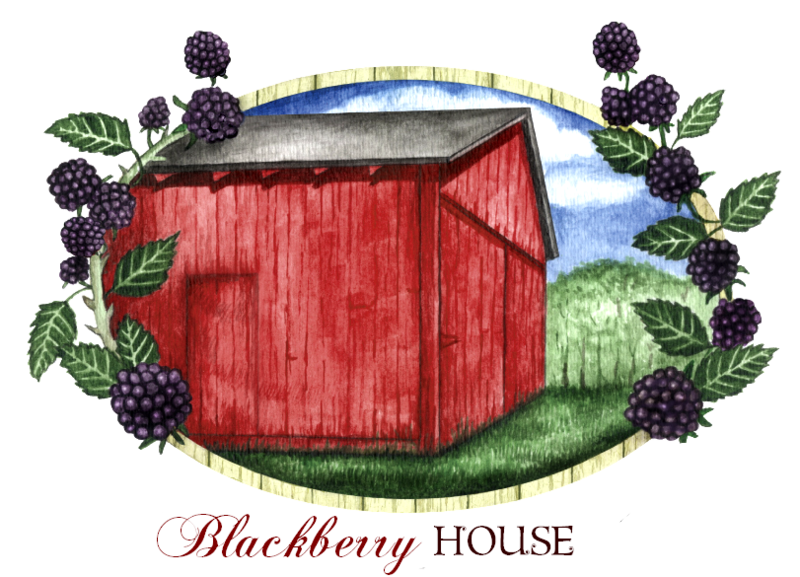 Blackberry House Paint came to life in Tennessee by a true country girl! 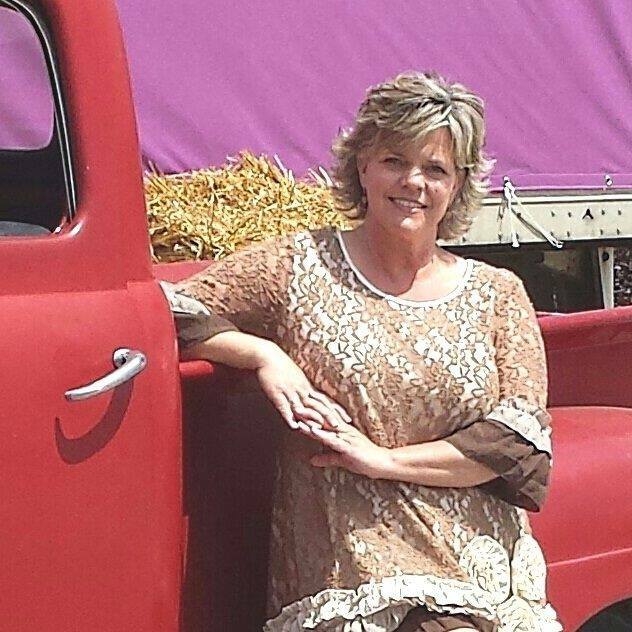 It is from my memories of years on that farm that inspired the company name, the colors, and especially the fun country names for the colors that make you smile even to say them. Our original company logo was a sketch of the barn on that property where I grew up, and where my mother still lives. On each visit back home, I always told my mother to be sure she had blackberries in the house, and she often obliged me with a good ole southern baked blackberry cobbler. I am known to the locals simply as P.J.. I spent my school years in Manchester. After school I moved away and eventually began my career as an Interior Designer, concentrating my business in the Metropolitan areas of places such as Minneapolis, Minnesota and Denver, Colorado. In Denver, I began working in tv in the home decor genre', working as the designer on Carter Can for HGTV for a couple of seasons, being the set designer and location scout for What You Get for the Money, doing product promos for Cool Tools for the DIY Network, and I wrote and hosted two shows for Slate Media called Building it Green and The American Home. While I enjoyed the work and the energy of it, it took all of my free time, so after a few years I decided to move on. When I decided to leave the corporate world and the tv work behind and move back to the area where I grew up, I planted my roots in Murfreesboro. I eventually opened a vintage farmhouse style home decor shop in a beautiful little yellow house in the downtown area, which I aptly named BLACKBERRY HOUSE. 🙂 The shop became very popular very fast. It was in the quick growth of the shop, that featured hand painted furniture, that I decided to develop my own line of paint for use on the furniture in the shop. Growing up on a farm, I was used to bright, vivid colors, but I had a very hard time finding those "perfect" colors in commercially available paints. Having a background in color and an extensive knowledge of paints, I set out to develop what is now known as Blackberry House Paint. The color line features many bright colors, all named after things that were synonymous with a country lifestyle. I call this collection of colors the Country Girl Color Collection. It boasts beautiful reds, such as the crowd favorites, Daddy's Tractor and Farmhouse Red. A deep rosy pink, named Mama's Roses, gets it's name from the roses that grew at the edge of my mama's porch growing up. Farmers Tan is named in memory of my dad, who after working many years outdoors had a permanent farmers tan. Names like Hummingbird, Wildflowers, Firefly, Wood Fence, Home Cooked Bread, Gravel Road, Tire Swing, and Willow Tree make you think instantly of life in the country. I began making the paint and selling it in my shop, and we sold out weekly. I knew then that we were on to something good. Very quickly, businesses began asking to sell it in their stores, so we got a factory on board with us and started having it mass produced so we could set up other retailers around the United States. It grew quickly in popularity and continues to do so today. I could go on an on about the inspiration for this line, but I'll let you use your own imagination when you read the color names. I get emails all the time from people telling me how the names of our colors have sparked a memory from their own childhood. I love hearing that! When using these paints, I hope they evoke the same kind of memories for you that inspired me. Please read our About Us page for more information specifically on the paint.